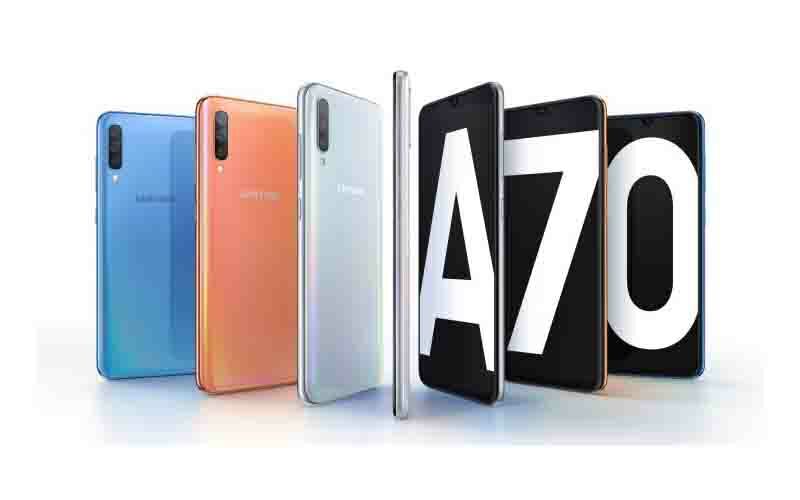 The Galaxy A70 which was unveiled in last month, has been launched in the Indian market. The device will be available for pre-booking will start from April 20 and the sale will start from May 1. If you are unaware about the specification details of the device then you can read the complete specification details of the Galaxy A70 below. The smartphone sports 6.7-inch Infinity-U Super AMOLED display with 2400 x 1080 pixels resolution. The device is powered by octa core Snapdragon 670 processor and paired with 6/8 GB RAM along with Adreno 506 GPU for the graphical task, but the company launched the 6 GB RAM variant only. In terms of storage, the smartphone has 128 GB of internal storage and that can be expandable via micro SD card. The smartphone is priced at ₹28,990, and it will available in black, blue, and white colour options. Furthermore, if you pre-book the device then you can able to buy the Samsung U Flex Bluetooth headset worth ₹3,799 at just ₹999. The device will be available via Samsung online shop, Samsung Opera House, Flipkart, and retail stores.